21 years, 10 months, 2 days old age. Max Records will turn 22 on 18 June, 2019. Only 1 months, 28 days, 16 minutes has left for his next birthday. Max Records has celebrated the total number of 21 birthdays till date. See the analysis by days count and bar graph. Max Records was born on 18-06-1997 in Syracuse in the state of New York, United States. He is an American Film Actor & Video Game Artist who known for his work in Hollywood films. Popularly known as Max for his role as Max in the film “Where the Wild Things Are”. 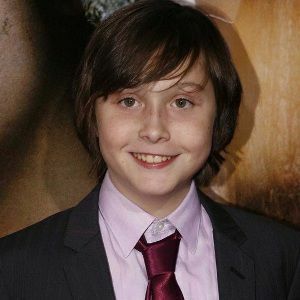 In the year 2009, he won the Young Artist Award for Best Leading Young Actor in a Feature Film for the same. His father Shawn Records is a photographer and mother a librarian. Before appearing in movies, he appeared in a music video for a band named Death Cab for Cutie. He gave tremendous contribution in “The Brothers Bloom” as Young Stephen and in “The Sitter” as Slater Pedula. He played the lead role in of John Wayne Cleaver in the movie titled “I am Not a Serial Killer” in the year 2016, which is based on a novel of Dan Well’s (2009).In this movie, he played a role of a homicidal Midwestern teen who kills a mass murdered in order to stop becoming one himself. Max Records was personally selected by Spike Jonze for the movie “Where the Wild Things Are”. And from there his career started and it has scaled new heights since then. He starred in the movies for back to back for 3 continuous years. In 2009 he was cast for “Where the Wild Things Are”, “The Brothers Bloom”. In the year 2010, he was cast for “The Vampire Attack”. In 2011 he was cast for “Blinky TM” and “The Sitter”, and in 2016 “I am Not a Serial Killer”. He was nominated for the Best Leading Actor by the British Film Institute.